If the State of Texas charges you with Driving While Intoxicated (DWI) it is extremely important that you get in touch with an experienced DWI attorney as soon as possible. The unique nature of these allegations requires that you be represented by someone with significant experience and expertise in the field of Criminal law. There are several important things that must be taken care of in an expedited fashion to preserve your rights. First, in the State of Texas you should always request within 15 days a hearing from the Texas Department of Public Safety to challenge the revocation of your Drivers License. If you refused an Officer’s request for a sample of Breath or Blood after being arrested, your license will be suspended for 6 months starting 40 days from the date of arrest. If you voluntarily submitted to the Officer’s request and your Blood Alcohol Concentration (BAC) was over 0.08, your license will only be suspended for 90 days. To keep this from happening it is extremely important to challenge the State’s revocation of your license. Whether this is your first, second or third DWI, the same rights apply to your case. The consequences of having a DWI conviction in the State of Texas have changed dramatically in recent years and it is important to hire an attorney to fight your case and be willing to take it to a Jury Trial. Just because you refused to take or failed a breathalyzer test does not mean that you are guilty. There are ways to challenge the validity of the initial traffic stop and the procedures used by the police officer during a field sobriety test that will diminish the legal effects of your refusal. Even more important to know is the fact that a breathalyzer test is not foolproof. There are many things that will affect a test’s accuracy and may produce erroneous results. We understand what challenges to make against the state’s drunk driving case against you. If you have been arrested and charged with a DWI, you need to act quickly to protect your freedom and your driver’s license. To speak to someone about your case, contact The Law Office of James Lee Bright for a free initial consultation and find out how we’ll fight for your defense. What is the Statute of Limitations on DWI’s in Texas? For a misdemeanor the statute of limitations for a DWI is 2 years. For a felony DWI the statute of limitation is 3 years. What is the average cost of a Bail Bond for a first-time DWI offense in Dallas County? The answer to this depends on the level of DWI and the county in which it was received. Every county has different bond schedules. 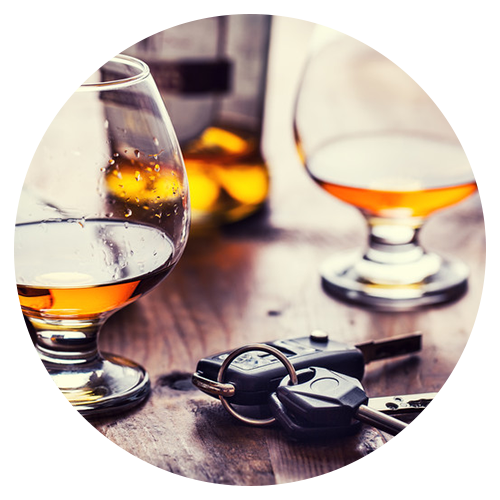 A standard Class B Misdemeanor DWI in Dallas County will typically have a bond of $500-$1000. Do I really need a DWI lawyer to represent me? What will happen if I represent myself for a DWI charge? Yes you do. Every DWI in Texas comes with the possibility of jail time – anywhere from 6 months to 20 years, depending on the type of DWI. I am not able to predict what will happen to someone if they represent themselves in court on a DWI charge because every case and set of circumstances is different. However, representing yourself in a complex legal issue such as a charge of Driving While Intoxicated is like trying to take your own appendix out instead of having a surgeon do it: not a good idea. Can I get a DWI expunged in Texas? No you cannot. However, as of last year, a first time DWI is eligible for a Notice of Non-Disclosure in limited circumstances and with very specific conditions.